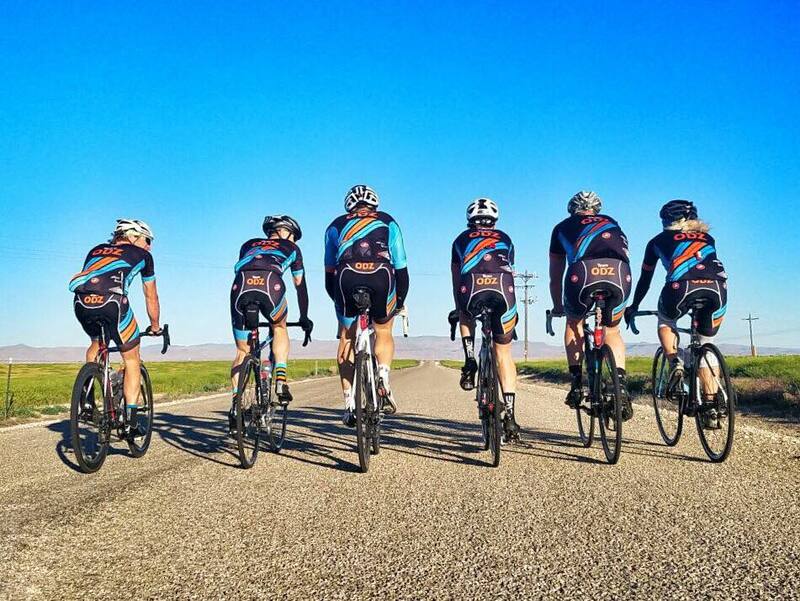 Editor’s note: Friendly Competition is a series where Bereda Training explores how endurance athletes help each other improve through Peer Connections. 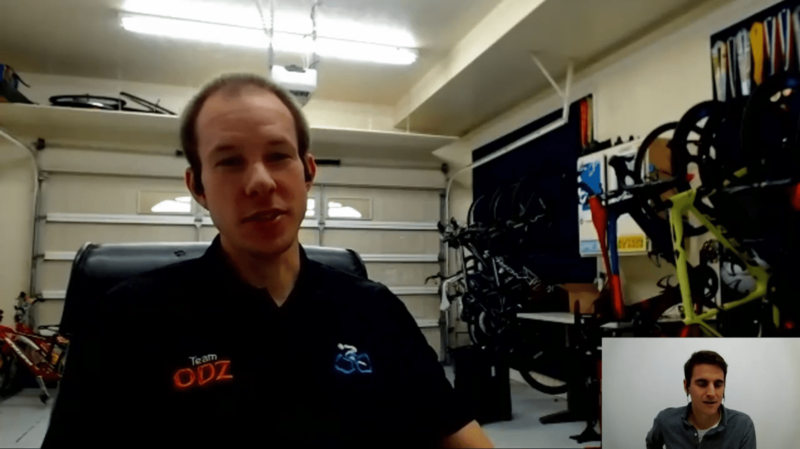 In their first episode, they cover Justin Wagner’s transformation from a 255+ pound cycling commuter to State Champion, and how the TeamODZ community supported him along the way. Justin Wagner: 32 years old, husband, father of 5, Computer Engineer, originally from Spokane, now living in the Salt Lake area. When he started cycling in 2014, he weighed 255 pounds. 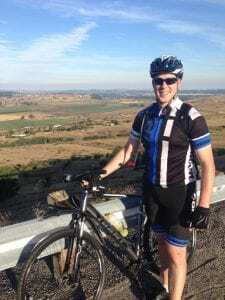 But through cycling, and more specifically, the cycling community, he’s not only lost significant weight (now 180 pounds) but transformed his life in the process. He’s a leader and organizer of the online training group TeamODZ as well as the host of the internet training show “Watts Up With Power”. 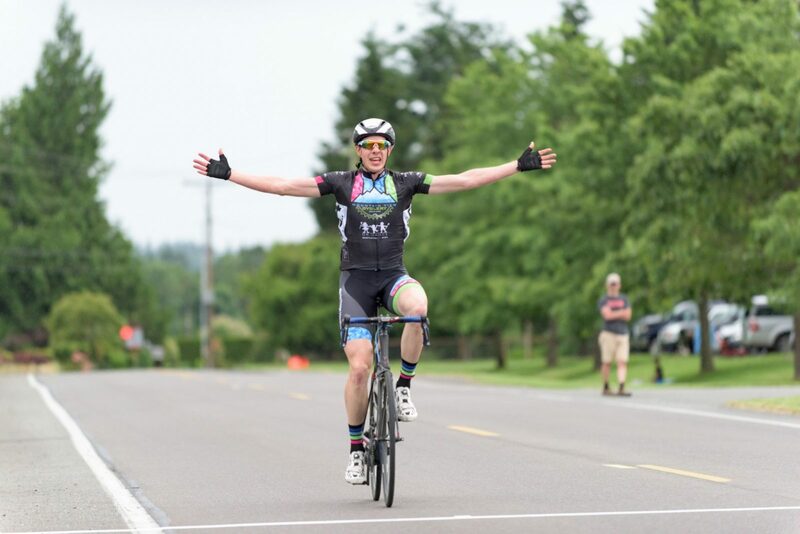 In only a short amount of time, Justin has become an accomplished cyclist, winning the Washington State Cat 3 Cycling Championships in 2017, and was subsequently invited to race in professional events the following year. 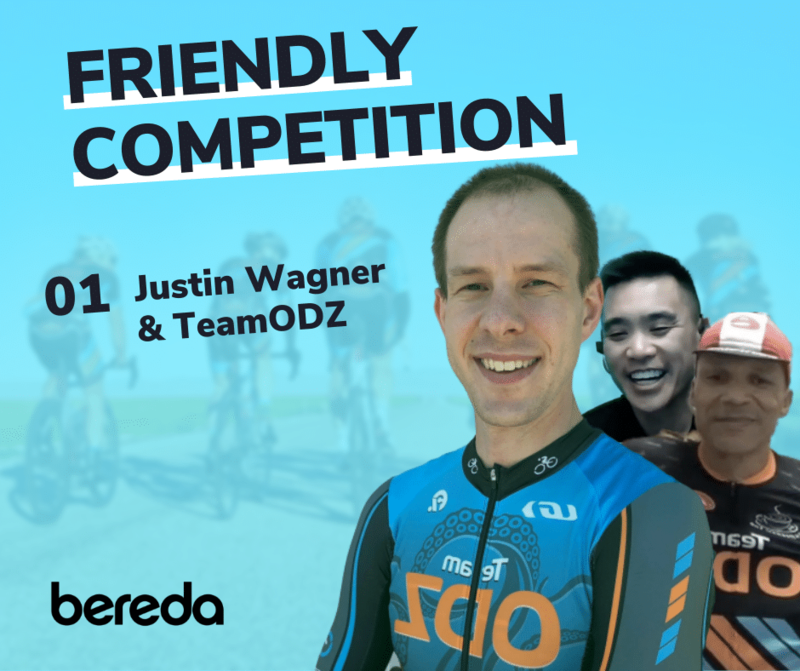 But even with all his success in cycling so far, the result that Justin was most eager to share didn’t even happen on the road, it actually happened on the indoor trainer, and it really brought him and the entire TeamODZ community closer together. It was Justin’s win at the 2017 Virtual Worlds. 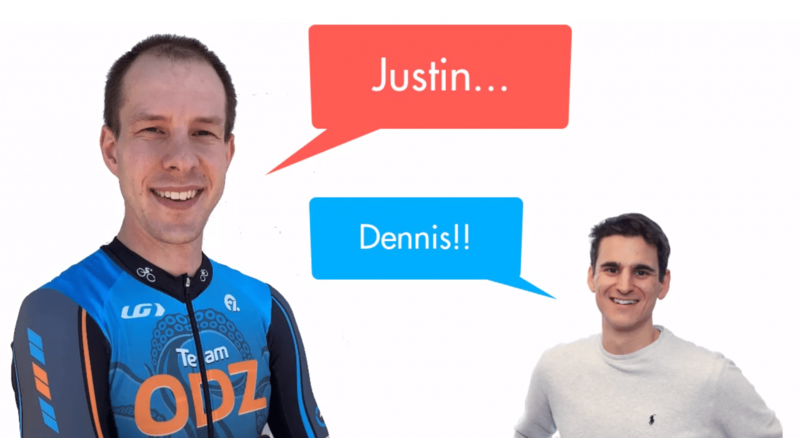 It wasn’t long after Zwift started that people started saying, “man, this racing thing is awesome… well, we’ve gotta have a World’s event, right?” as Justin put it himself in our recent phone interview. The vision was clear: everyone in the Zwift racing world, one event, all coming together to do one epic race. Teams were meeting ahead of time and doing preparation races to get to know each other’s strengths and weaknesses, just like a real-world team, but all happening virtually. All motivated by a big, common goal. There were four different pelotons (A, B, C, D), and while the numbers have grown since then, at the time an astonishing total of 700 people were registered. So many, that at the time it would crash Zwift’s servers. Justin took the start line at 2 AM. He’d be racing, on his trainer, for the next three hours. Everyone thought the race was over, but all of a sudden the leader was absorbed and the peloton continued to charge forward to the finish. Justin’s teammate, Matt Johnson, who was in the earlier breakaway, covered the move and let Justin sit in the pack to see if it would all come together at the finish. “I know that like my sprint is pretty legit from about, 20 seconds. So you know if that’s somewhere around 400 meters to go I’ve got a good shot,” Justin recounted. And if you listen to the recording of the race finish, you can get a sense of just how close the TeamODZ community is. Justin had the voices of a dozen or so members of the team screaming in his ear as he started his sprint and passed the leader with only 50 meters to go to the line. It was a win at a Virtual World Championships, and it was a moment that brought their online training community closer together. Champion? 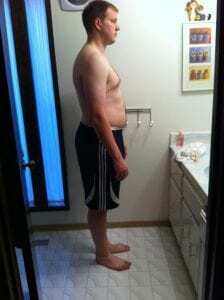 He Started as a 255lb Commuter. But believe it or not, Justin wasn’t always mixing it up with professional racers online. In fact, he was pretty unhappy with his fitness level only five years earlier. Justin had some endurance sports experience from running on his high school track team and was even running in the 17-minute range for a 5k, but once he realized that he wasn’t going to be making a living as a runner, he decided to focus on the next phase of his life. He served a two-year mission for his church in Brazil and then focused on school and getting his degree so he could support his young family. When he graduated from his Master’s degree in 2012, he was 255 pounds. No fancy bike. No software subscriptions. Justin just got started. Justin eventually bought himself a hybrid bike. Once Justin moved into their new home, and with a bike of his own and he found a friend at his church who was riding in the mornings. And here begin two themes that run throughout Justin’s entire transformational story: Peer Connections and using Technology to get the most out of them. 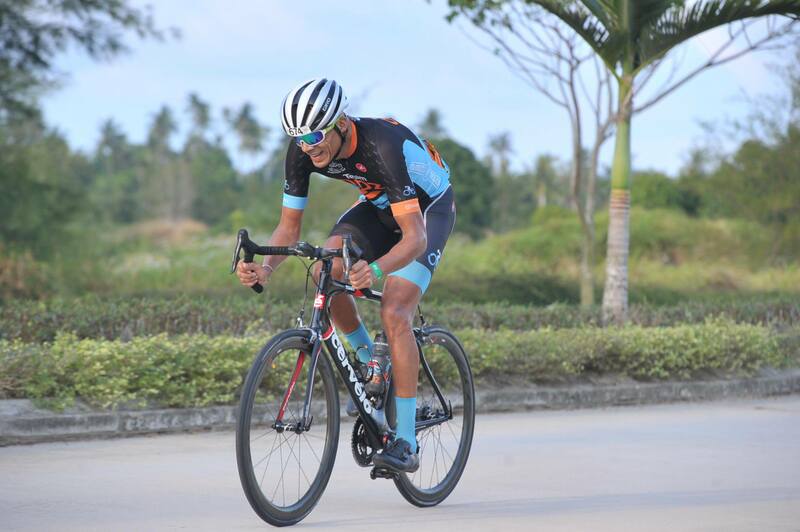 Justin was finding local people riding on Strava and got motivated to compete against them on segments, even on a hybrid bike! It wasn’t long before Justin took his hybrid bike into a shop to get fit and reported that he was doing 150 miles a week. “I’m sure they looked at me like: ‘this guy’s a complete nutjob… he’s doing 150 miles a week on a hybrid bike?? What the crap!’” Justin joked. But it wasn’t long before Justin discovered Zwift, the next important app in his progression. “What’s really been a big shift for me in training really was… I mean, wintertime came and we couldn’t do outdoor rides together so we needed to ride another way. 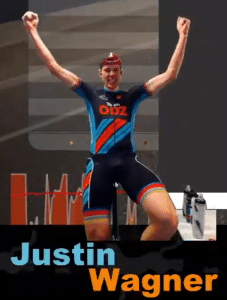 So I said, hey look, this Zwift thing is happening and hey, we even figured out a way that we could talk to each other,” Justin said, introducing yet another way he’s used technology to connect with his peers to support his training. But what exactly IS TeamODZ? In our view, TeamODZ was Justin’s next important step in his journey to build a network of peers around him. Justin was trying to figure out what he should be doing in his training and he discovered a community that was sharing knowledge and helping each other improve. For example, Justin himself ended up creating an internet video series called “Watts Up With Power” where he shared the information he was learning on his own about training with power and invited professional coaches and industry thought leaders to join him. 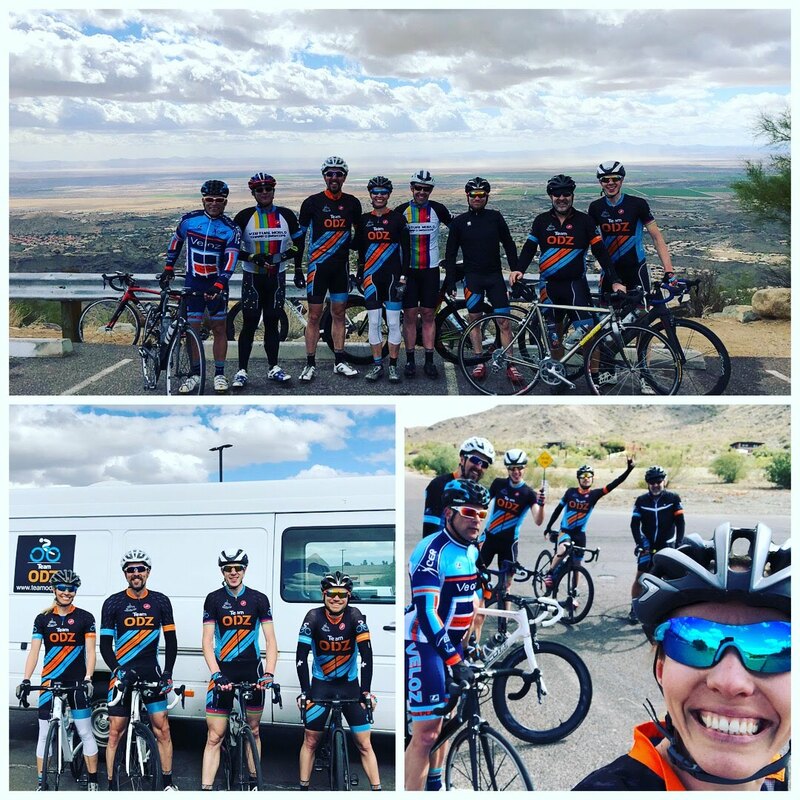 One of ODZ’s coaches, Ian Murray, has done a show he calls the “Skills and Drills Ride” where they teach people the basic tactics of riding in a peloton, bridging to the breakaway, attacking, etc. 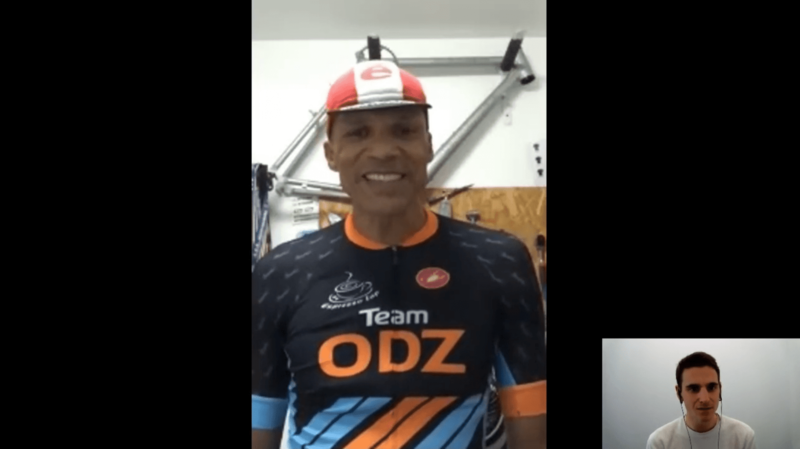 And one of ODZ’s founders, a man by the name of Jason Flores, did a show he called “In the Feed Zone” where he shared his knowledge about diet supplements and helped people understand different dietary myths. 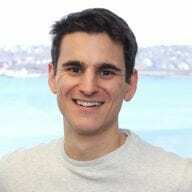 “The key point there is that members of the community basically help others by just sharing the information they have and we all kind of improve ourselves through learning from one another,” Justin summarized. But how does a community like this start? Justin mentioned one of the ODZ founders, Jason Flores, and we got in touch to hear just how all this started. 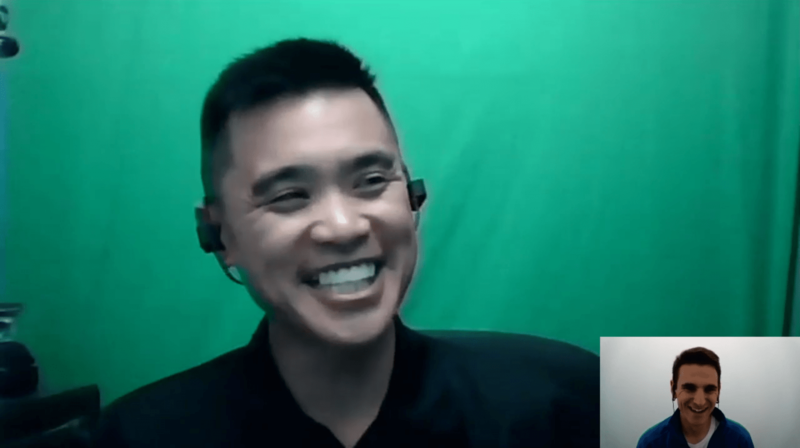 Jason and Quan are both optometrists by trade, and in the early days of Zwift there was a lot of East Coast-centric rides starting at, so it was quite early for those on the West Coast. 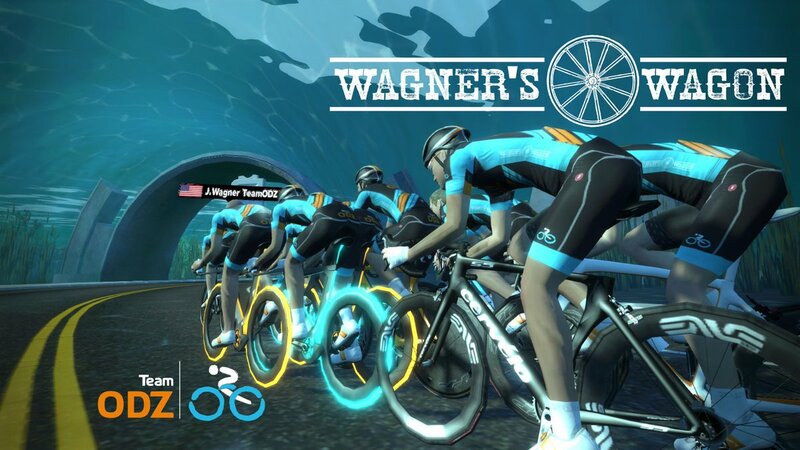 At the time there were no starting areas in Zwift, this was still in the beta days where groups would meet up at the start line and wait for the ride leader to send a message that said: “Go!”. As the started to do more rides in the West Cost time window, they ended up gathering more and more riders that were in that time window and that ended up being part of their group. “The name TeamODZ is actually a play on our profession. We are both optometrists which are OD’s, and we are just OD’z out on course, and it was funny and it just kind of stuck and it was something that everyone has kind of now put their own spin to what the letters mean,” Jason chuckled. “Ha! Ya, Justin is not shy to share what they all are, you know, anything from ‘OverDosing on Zwift’, to, ‘Overly Dominating on Zwift’, to, really whatever we can come up with!” Jason joked. At the time, they were some other Facebook groups where you were able to ask questions and Jason commented that you may get kind of sly remarks or answers but the ODZ group would always try to be very honest. Helping people join the community, one set up at a time. 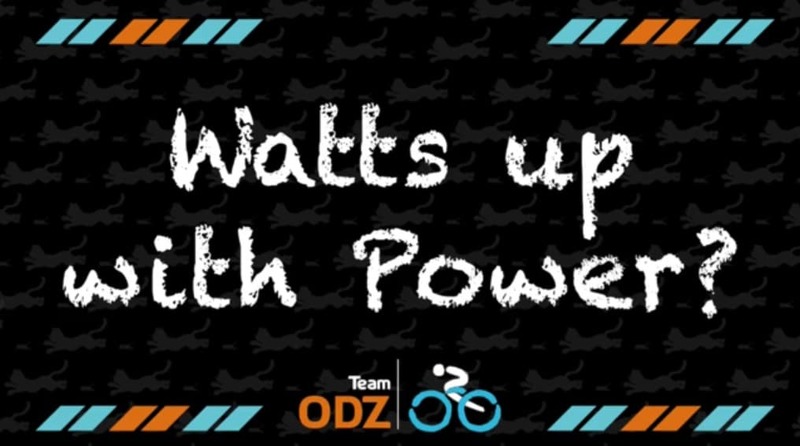 Another reason TeamODZ took off, rather than other groups at the time, was because of their willingness to help riders get set up with the technology they were using at the time to have voice conversations while they rode. The ODZ community has a very inclusive and helpful culture. It was very interesting to hear how it was not only there at the very beginning, but really, it was this helpful approach that’s exactly how TeamODZ grew. One thing that really brings TeamODZ together is the fact that they have a common goal, and that’s to ride well outside. In order to improve the team members need guidance, but they also have to enjoy riding, which is especially hard because they’re always riding inside! But as we saw before, TeamODZ has a lot of different training shows and content so it’s members aren’t only riding together, but they’re learning together as well. So Justin got the book and started reading it and he would take the things he would learn and go talk to others in the community. The remarkable thing is that Justin isn’t only gaining fitness, but relationships, by learning from others and being involved in each other’s training. With ODZ’s common goal, I asked who really embodies that in the team. Justin had no hesitation before mentioning Patrick Verissimo, or Paddy the Pedal, as he’s so affectionately known by his teammates. So we got in touch with Patrick and asked him about his background and how he got into cycling. 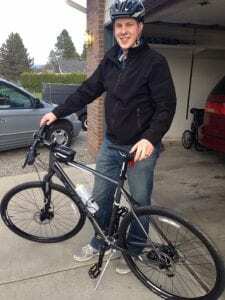 He would use the bike to get to and from university, not really for fitness. His sporting background was actually in football (or soccer, he said), but once that stopped he felt like he needed to get going. Cycling has also given him an opportunity to discover and get to places that he hadn’t been before. He’s lived in many different places, but with cycling, he says, you think to go well beyond your known radius of home and workplace. He discovered also that when he raced the Southeast Asian circuit that it’s always the same people, from a varied background, that come together and that do those races. And even though he meets up with people at races from around the world, it’s his global community of ODZ that he’s never met in person before helps him get prepared for these big events. I asked him specifically about his relationship with Justin. “Ya, he’s a really cool cat,” Patrick admitted. But it’s not only Justin’s cycling abilities that Patrick respects. They’re on opposite sides of the world, they’ve never met each other before, but they have the same mindset, the same goals and TeamODZ provides an environment where they can help each other improve and be successful. I had a pretty good idea of what TeamODZ was all about before starting this story, but in the process, I got some insights into just how powerful and meaningful the relationships being formed in this group really are to their success. They really know each other and are involved in each other’s training, leading to great results and great experiences along the way. I had a lot of fun putting this story together and I couldn’t help but ask what TeamODZ has planned for the future. “We also want to encourage people to race their bikes outside. We think that’s a sustainable part of… it’s part of the sport that needs to exist.” Which of course, is in line with ODZ’s common goal. 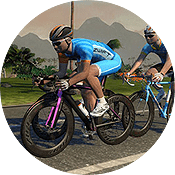 ODZ has been registered with USA Cycling and British Cycling so people can affiliate with the team if they want to race with the colors in real life. “And doing it through the strength of a good community,” I added.